Before I even begin talking about CortexDevTeam’s Stratos, let’s address the elephant in the room. Let’s address the fact that the tweak looks and functions very much like Auxo legacy edition. 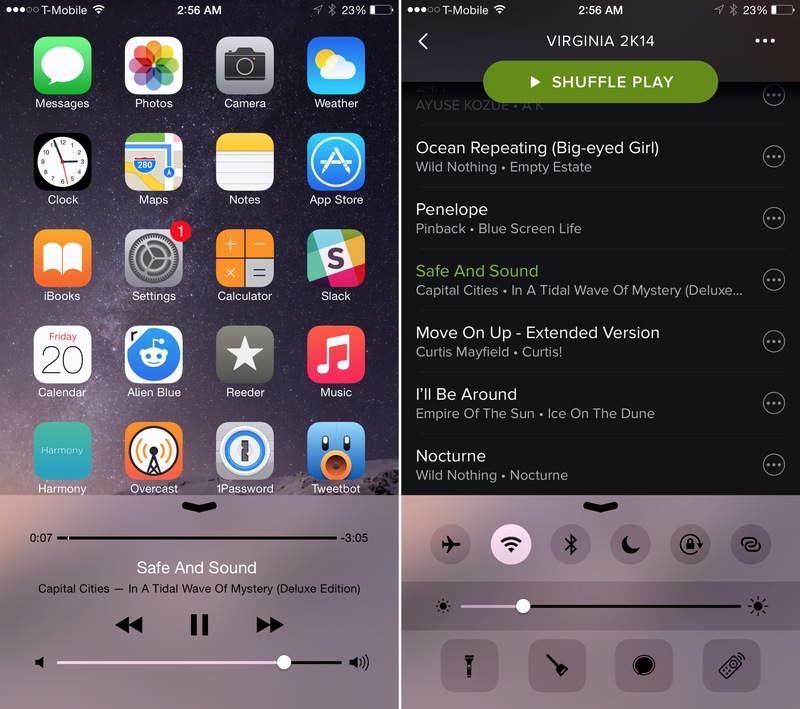 Indeed, Stratos takes many cues from Auxo of old, but that’s one of the tweak’s most appealing assets. There are some, even after two successful iterations, who never quite came around to Auxo 2 and its sequel. For those people, Stratos is a jailbreak tweak that’s been highly anticipated for quite some time. But that’s not to say that Stratos is a mere carbon copy of Auxo and nothing more. The tweak brings a few of its own innovations to the table as well. After installing Stratos, you’ll need to head over to its preferences in order to disable the tweak’s kill-switch. From there, a whole host of configuration options open up for you to play with. At its most basic form of functionality, Stratos is an App Switcher replacement that you can invoke by sliding up from the bottom of the screen. It essentially replaces the Control Center gesture while not on the Lock screen. Once Stratos has been invoked, you’ll see an interface that looks a lot like Auxo legacy—the four card view with previews of each running app pinned near the bottom of the screen. Users can page through each list of cards, or page backwards to access Control Center and media controls. There are fundamental design differences and animation differences between the two tweaks, but functionality remains largely familiar. Apps can be dismissed from the Stratos interface by performing a swipe-up gesture on the card previews. A tap and hold on any of the cards closes all applications. 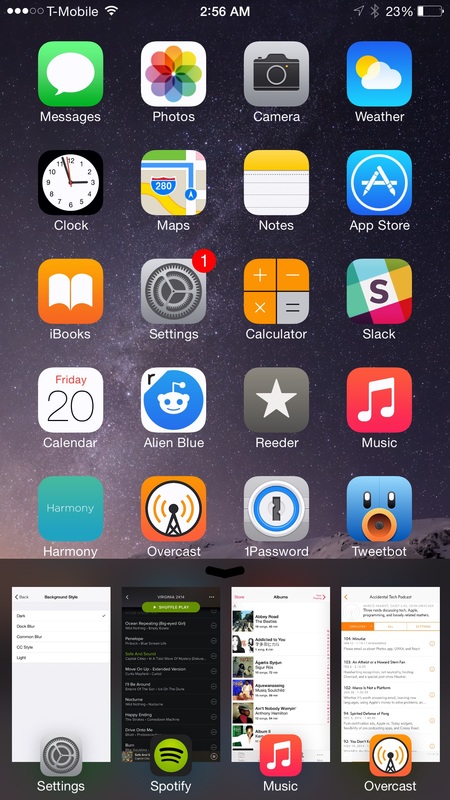 One thing that stood out to me was the animation that occurs when closing all apps. The animation is clunky, abrupt, and lacks the polish of something that a3tweaks would have worked on. I caught myself whispering out loud that “there is no way that a3tweaks would have shipped something like that.” And while that’s true, it’s not a total knock against the CortexDevTeam or its designers. It just accentuates the insane amount of polish heaped on tweaks by the former group, who, in the minds of some, let that quality obsession turn into a hinderance instead of a help. As previously stated, Stratos does have its own characteristic and innovations, which are all configurable by means of the tweak’s preferences. Beneath the kill-switch, you’ll find settings for Background Style—a way to change the background color of the App Switcher—background height, parallax mode, and more. 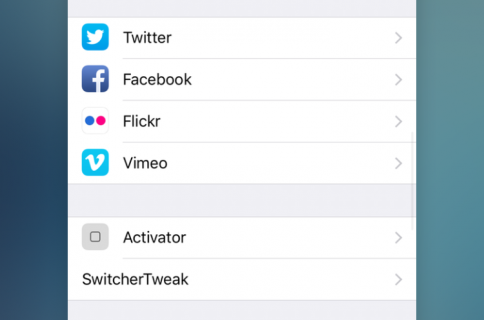 Users also have the option of showing the currently opened app in the switcher, and can toggle on Home button activation—a switch that allows users to make the double press of the Home button invoke Stratos instead of the stock App Switcher. One of the primary innovations of Stratos that I enjoy is the QuickLaunch feature. 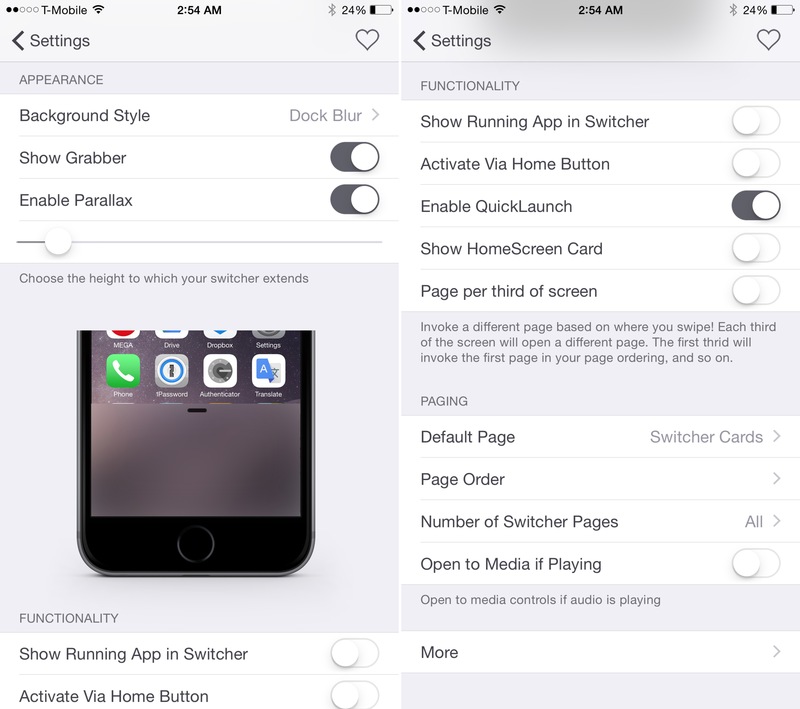 Enabled via a switch in the preferences, QuickLaunch lets you launch apps from Stratos’ interface by simply swiping up on the app after invoking the App Switcher in one fluid motion. It’s not something that’s easily describable, so I recommend that you watch my video above for a demonstration of QuickLaunch in action. Stratos contains additional options for paging, and the ability to customize the order of the appearance of Control Center and Media controls. 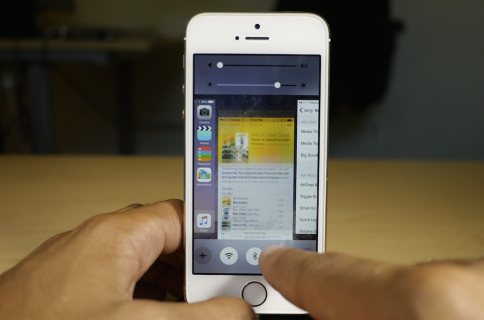 You can also request that the Stratos switcher automatically open to media controls when media is playing. The Page per third of screen setting is an option that’s particularly useful. Depending on where you swipe up from the bottom of the screen, the Stratos interface will load a different page based on the page order you have established. For example, by swiping up on the left side of the screen, I can go directly to Control Center; middle, media controls; right, App Switcher. It’s a great way to get right where you want to go without needless swipes. My main gripe with Stratos thus far is its instability. In my short time with the tweak, I’ve been met with quite a few crashes here and there. That said, in the early stages of Stratos’ public existence, I think that such a thing is largely inevitable. Although I never personally experienced it, some people reported that Auxo’s early moments were met with opportunities for improvement in this area as well. The bottom line is that Stratos is taking core functionality—App Switching—and replacing it with a gesture based method with a whole new look, interface, and feel. There are bound to be significant challenges to keep it stable across the many devices that it will need to support. Based off my interactions with lead programmer, Ethan Arbuckle, I’m confident that the CortexDevTeam can and will increase the tweak’s stability as they continue to iterate. 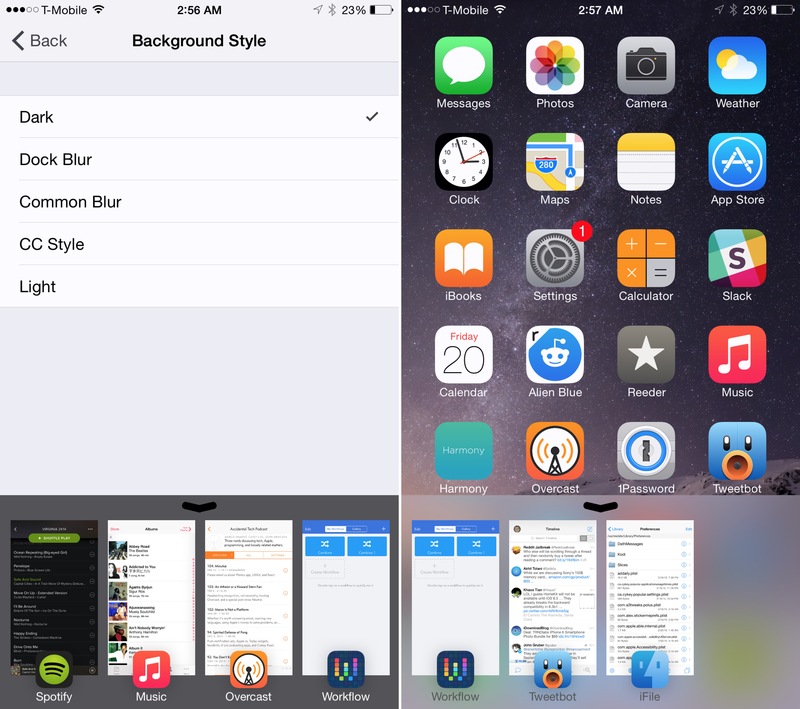 If you’re looking for an Auxo legacy-like experience on iOS 8, then Stratos is a jailbreak tweak that’s a no-brainer. Obviously, you’re not going to get anywhere near the amount of insane levels of polish brought to you by the original Auxo, but Stratos features enough Auxo-inspired flair to take you back in time. Stratos is being submitted to Cydia today, and once it’s available, you’ll be able to purchase it for $1.99. What do you think about Stratos? Are you excited that it’s almost here? Share your thoughts and opinions about this highly anticipated tweak in the comments below.